Each event on the World Science Festival Brisbane website features a ‘Get Tickets’ button. To purchase tickets simply click on this button and follow the prompts.  World Science Festival Brisbane tickets are sold by third party ticketing provider QTIX. When purchasing tickets you will be required to either register or verify an existing QTIX user account (using your email and a password). You must maintain the confidentiality and security of your user account (including your password) and not provide it to any other person. Note: We recommend you purchase tickets to all QPAC events you wish to attend in one transaction, as there is a booking fee of $7.20 per transaction. During the Festival only – Wednesday 21 March to Sunday 25 March, 2018. All WSFB venues have a box office where tickets can be purchased for events on the day, providing the event is not sold out. Box offices open during the Festival 60 minutes prior to the event start time and will remain open 30 minutes after the event commences. Concession – available to aged pensioners and senior card holders. Please note: Proof of eligibility is required when purchasing or collecting concession tickets. Student – available to all students. Please note: Proof of eligibility is required when purchasing or collecting concession tickets. Groups – Group bookings can be made by contacting Qtix groups sales team. Phone: (07) 3840 74 66 or Email: [email protected] Please note: Children’s groups much be accompanied by adults, with one adult required for every 10 children. World Science Festival Brisbane tickets are sold by third party ticketing provider QTIX. Before proceeding with your purchase, please read QTIX’s Ticketing Terms and Conditions carefully. By purchasing a ticket through QTIX (online, over the phone, at the Box Office or through any other authorised sales channel), you agree to these Ticketing Terms and Conditions. Tickets are sold or issued by QTIX as agent for the organisation(s) which are managing, producing, promoting, presenting or otherwise providing the service, event or performance for which the ticket is sold or issued (Presenter). The name of the Presenter and/or the venue to which your ticket relates (Venue) is usually shown on the front of the ticket and is also available from QTIX. QTIX has no control over, or liability for, the performance of the event by the Presenter. All ticketing complaints and claims, and your legal rights, are against the Presenter, not QTIX (except where QTIX is at fault or where you have a legal right against QTIX, including under the Australian Consumer Law). These Terms and Conditions incorporate the Live Performance Australia Ticketing Code of Practice – Consumer Code (LPA Code), which sets out a code of conduct for the sale of tickets to live events, including consumer rights. The LPA Code is available online here or you may ask QTIX for a copy. Your ticket may be subject to additional booking terms, which will be notified to you prior to purchase. For example: school and other group tickets may be subject to additional conditions of sale and entry; admission and attendance at events and festivals designed for children may be subject to additional conditions of sale and entry; and if your ticket is to a timed ticketed exhibition, your ticket will only be valid for your nominated session time.To the extent that there is any inconsistency between the additional booking terms and these Ticketing Terms and Conditions, these Ticketing Terms and Conditions will prevail. Tickets are only valid if purchased through QTIX, the Box Office, the Venue or an authorised agent. Ticket sales may be limited to a specified number of tickets. QTIX may cancel or refuse to accept orders which it believes are placed in excess of any such limits. Ticket proceeds are held in a separate trust account and will be refunded if the event does not proceed, if required by the LPA Code. Once confirmed, your ticket and any transaction fee will not be refunded or exchanged, except as provided for in the LPA Code or as required by law (including the Australian Consumer Law). All prices quoted are in Australian dollars and include GST. A tax invoice is available upon request to QTIX. A transaction fee may apply to your ticket purchase. You will be notified of the applicable fee prior to purchase. You warrant that you have the authority to make payment for your ticket and that you own/hold or have express permission of the owner/holder of the credit card or other payment facility used to purchase the ticket. Prior to purchasing a ticket through the QTIX website, you may be required to register for a user account and to nominate an email address and password for your account. You must maintain the confidentiality and security of your user account (including your password) and not provide it to any other person. You are responsible for your use of the QTIX website and all transactions conducted using your account. If you become aware of any unauthorised use of your account, please notify QTIX immediately and reset your password. Tickets will only be delivered following full payment. Ticket delivery options may include Print At Home, collection from the Venue Box Office or by post. Postage and handling fees may apply. If you select Print At Home, then in the event that a duplicate copy of this ticket appears, QTIX and the Venue reserve the right to request proof of identity and proof of purchase; and unauthorised duplicate ticket holders will be refused entry to the Venue. By attending an event, you agree to the Venue’s conditions of entry. The Venue’s conditions of entry are available from the Venue. The right of admission is reserved by the Venue and the Presenter. You may be refused entry or required to leave the Venue if you do not comply with the Venue’s conditions of entry. Tickets will not be exchanged or refunded in these circumstances, unless required by law (including the Australian Consumer Law). The Presenter may add, withdraw or substitute artists (including the opening act/s) or vary advertised programs, performance times, venue, seating arrangements or audience capacity. Tickets will not be exchanged or refunded as a result of these changes, except as provided for in the LPA Code or as required by law (including the Australian Consumer Law). If an event is cancelled, rescheduled or significantly relocated and provided QTIX receives authorisation from the Presenter, QTIX will attempt to notify ticket holders of the cancellation, rescheduling or relocation. However, QTIX does not guarantee that ticket holders will be informed of such cancellation, rescheduling or relocation prior to the event. You may be entitled at law (including the Australian Consumer Law) or under the LPA Code to a refund where an event is cancelled, rescheduled or significantly relocated. To the extent permitted by law (including the Australian Consumer Law), neither QTIX nor the Presenter will reimburse you for auxiliary expenses (such as the cost of travel, car-parking, child-care and accommodation) or other consequential loss suffered by you in connection with your attendance or non-attendance at an event. QTIX recommends that you obtain ticket and/or travel insurance for those expenses. To the extent permitted by law (including the Australian Consumer Law), neither QTIX nor the Presenter are liable to refund to you any amount beyond the face value of the ticket plus any transaction fee. Where tickets are lost, stolen, misplaced or destroyed (or in other circumstances in which replacement tickets are required), QTIX may charge an administration fee to issue replacement tickets and may require proof of identity and purchase, prior to issuing a replacement ticket. QTIX may refuse to provide replacement tickets where tickets are for general admission rather than allocated seating. Tickets must not be resold or offered for resale at a premium or packaged, resold or otherwise offered for advertising, promotional or other commercial purposes (including competitions) without QTIX’s prior written consent. If a ticket is sold or used in contravention of this condition, the ticket may be seized or cancelled without refund or exchange and the bearer of the ticket may be denied admission. To the extent permitted by law (including the Australian Consumer Law), QTIX and the Presenter are not liable to you for any loss, damage, injury, delays, additional expenses or inconvenience arising as a result of your attendance or non-attendance at the Venue and/or the event. Where liability cannot be excluded or modified by law, including pursuant to the Australian Consumer Law, the liability of QTIX and the Presenter is limited to the minimum permitted by law. QTIX recommends that you obtain ticket and/or travel insurance. This may include the disclosure of your personal information by QTIX to the Presenter and/or the Venue, in which case the Presenter and/or the Venue will collect, use, disclose and handle your personal information in line with their own privacy policies, which you may obtain from the Presenter or the Venue. Hotels, travel, meals and other elements included in packages are supplied by the managing, producing, promoting, presenting or other entity providing that element (Provider). Information regarding package elements is supplied by the Provider. QTIX is not responsible for the accuracy of this information. The Provider, not QTIX, is responsible for any complaints or claims. Each package element is sold on the relevant Providers’ terms and conditions, which are available from the Provider. Subject to the Provider’s terms and conditions, if an event is cancelled or re-scheduled, hotel, meal, travel or other package elements will not be refunded or exchanged, other than as required by law (including the Australian Consumer Law). Where accommodation and/or travel arrangements are included in your package, QTIX recommends that you purchase comprehensive travel insurance. If you received your ticket as a prize, gift, donation or otherwise for no cost, both these Terms and Conditions and the terms and conditions of the relevant promotion or competition (Competition Terms) apply to your use of the ticket. Where additional elements were included in your prize package, such as hotel accommodation, merchandise or travel arrangements, such additional elements are subject to the Competition Terms and may be subject to additional terms and conditions of the provider of such additional elements (for example, an airline for travel arrangements).43. Where accommodation and/or travel arrangements are included in your prize, QTIX recommends that you purchase comprehensive travel insurance. Merchandise will not be refunded or exchanged, unless required by law (including the Australian Consumer Law). These Terms and Conditions may be varied at any time. Any variations become effective on the day immediately after their publication on the QTIX website and apply to any purchases made after that date.46. If any part of these Terms and Conditions is held to be invalid, illegal or unenforceable, it will be disregarded to the extent of its invalidity and the remainder of these Terms and Conditions will remain in full force and effect.47. These Terms and Conditions are governed by the laws of Queensland, Australia. QTIX’s Ticketing Terms and Conditions can also be viewed on the QTIX website.